A lot has happened in the smartphone world in 2018; the notch is getting familiar, AI processors, triple rear cameras, and whatnot. Every year smartphone makers are releasing their best offering, the flagship smartphones. And, there are lots of options to choose from. The big names are; Apple, Samsung, Sony, LG, Huawei, HTC, and Google. Well, OnePlus seems to be creeping towards that list too. Flagship smartphones offer the best hardware and experience the money can buy. And each year, there’s an increment in prices with the inclusion of new hardware and software features. While some features become a trend; just like the notch, we do see some interesting ones from the big boys. Since there are lots of variations in design, display type, chipset, processing power, camera, and software features, it’s extremely tough to pick a smartphone. 2018 has already seen some of the best phones; Samsung Galaxy S9 and S9 Plus, Huawei P20 and P20 Pro, LG G7 ThinQ, OnePlus 6. The list won’t stop here, HTC announced HTC U12 Plus and we are yet to see another Pixel, iPhone, and a Samsung Note. Note X? So, we’ve ranked all the flagship phones available in Nepal to help you find the most fitting flagship smartphones in Nepal. We’ve rated the phones based on their performance, hardware, OS upgrade potential, and of course, the show off potential. Thus, the following is the list of the best flagship smartphones in Nepal that you can buy in 2018. Getting the all-new Samsung S9 Plus is a no-brainer. The S9 Plus brings excellent design, amazing build quality, powerful performance, and arguably the best display. Galaxy S8 was one of the best phones of 2018 and with the S9, Samsung has pushed it a little further. It comes with an amazing 6.2-inch infinity display packed with top of the line Snapdragon 845 or Exynos 9810 and easy to use Samsung UI. In the S9, Samsung has added a dual rear camera and one of the sensor has a variable aperture. It can change between f/2.4 and f/1.5, later helping to get brilliant low light photos. Not to mention it can capture slow-motion videos in 960 fps. Meanwhile, Samsung is not great when it comes to providing updates, but you’re sure to get the Android P and at least another iteration after the P.
Samsung Galaxy S9 Plus is hands down the best android phone in the market. The only competitor to the S9 Plus is the iPhone X. And, even iPhone X fails to compete against the S9 Plus when it comes to low-light photography. However, the portrait mode on the iPhone X is slightly better than the S9 Plus. In terms of battery and charging, S9 Plus has iPhone X beat with its huge 3500 mAh battery and in-the-box included fast charger. And, I might be nitpicking at this stage but the S9 Plus has expandable storage. So, S9 Plus is definitely one of the best flagship smartphones in Nepal right now. Well, its the absolute best according to me; iPhone X just behind it? Samsung S9 and S9 Plus are basically the same phones, except its a tad bit small and the telephoto lens has been excluded. If you’re not into big phones, then Samsung S9 is the next best after the S9 Plus. Its compact form lets you use it more comfortably and its packed with the same top-notch hardware. However, it lacks a dual camera setup and extra 2 Gigs of RAM. Still, you’re getting a fabulous 5.8 inches infinity display with 4GB of RAM and a brilliant camera module. OS update potential of S9 and S9 Plus is similar. S9 Plus might be the first one on the line but S9 will follow behind it. You’re getting almost everything the S9 Plus has but it has a lower capacity battery, this might be a serious issue for some power users. So, you should definitely go for the S9 Plus if you need that extra battery. Otherwise, its a smaller version of one of the best flagship smartphones in Nepal. iPhone X was launched in 2017 and it is certainly one of the best flagship smartphones in Nepal. I would say, it’s the second best. iPhone fans must be salty by now. The first one to introduce the much-criticized notch, it has become the smartphone trend in 2018. It comes with the best facial unlock, FaceID unlocks the phone by using infrared and visible light scans to uniquely identify your face. It works in a variety of conditions and is extremely secure. iPhone X is a bezel-less smartphone with no chin at the bottom and it comes packed with Apple’s latest A11 Bionic Chip, 64/256 GB internal storage and 3GB RAM. Without a doubt, iPhone X has one of the best camera setups that can capture 4K videos at 60fps. It’s a close fight between the iPhone X and the S9 Plus, iPhone X has more accurate colors and has a better portrait mode. Whereas, the S9 plus can take amazing low-light photos. In terms of camera, it all comes down to your preference. But, iPhone X is still behind in terms of the battery capacity! Getting latest updates is never an issue for iPhone’s. Even the iPhone 5 got the update to iOS 11. So no worries on this front! Unlike Samsung, Apple takes care of their products with continued updates and support. Also, iPhones have better resale value. Thus, it will be a better pick up if you keep changing your device. If you do not fancy Samsung or Apple, then the Huawei P20 should be on your list. Huawei P20 is one of the few phones that can compete against the likes of Google Pixel 2, S9, and the iPhone X. Everything about this phone feels and looks great. Especially, the twilight edition is absolutely beautiful as it transitions color according to the lighting condition. P20 is not all about the looks though, it has a dual camera setup with a 2X lossless zoom support and 960fps slow-mo feature. Talking about processing power, it runs on Huawei’s own HiSilicon Kirin 970 and its 3400 mAh battery is more than enough. At the moment of writing, Huawei P20 Pro is not available otherwise P20 would be a much better pick up than the P20. P20 pro has a better camera with the 40MP RGB sensor whereas there’s a 20MP sensor on the P20. It comes with some added advantage such as pixel fusion technology so that it can capture more light. So, P20 pro has better camera quality and a slightly vibrant display. Nonetheless, it is still one of the best flagship smartphones in Nepal. Well, if you’re having a hard time choosing between the S9 and the P20, then you should note that it provides you much more value with its 128GB variant priced at 74,900. Whereas the 64GB variant of the S9 comes at 87,900; however it does support a micro-SD. It might not have the same camera setup as the P20 pro but it is still one of the best among the best flagships smartphones in Nepal. And, it has a 3400 mAh battery compared to Samsung S9’s measly 3000 mAh battery. Its continuous collaboration with Leica seems to have worked this time, its camera may not be as good as the P20 pro but its definitely worthy. Huawei is fairly good at pushing new updates. P20 will surely get good support for further OS updates. iPhone is basically an iPhone X without the fancy notch, facial unlock, and the bezel-less design. It lives under the shadow of the iPhone X, however, it is definitely one of the best flagship smartphones in Nepal. iPhone 8 Plus is not interesting when it comes to design. 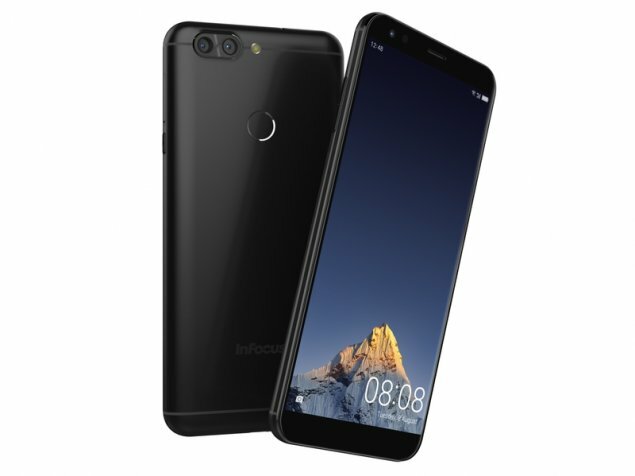 But it offers the same powerful chipset as the iPhone X, the A11 Bionic. The camera setup of the 8 Plus is same as the iPhone X but the iPhone 8 lacks the dual camera setup. iPhone 8 Plus does not have the facial unlock feature of the iPhone X but the touchID is crazy fast. There have been some reports regarding the usability of facial unlock on the iPhone X, so touchID might be the best option for you. iPhone 8 Plus comes with Retina Display (1920×1080) whereas you get more crispy Super Retina display (2436×1125) on the iPhone X.
Samsung S9/ S9 Plus and Huawei P20 provide you much better value than the iPhone 8/ 8 Plus. Between iPhone X and iPhone 8 Plus, iPhone X will be a better option if you want the best Apple has to offer. However, they have the same processor and same camera setup. So, if you don’t care about the all new fancy design, face unlock and a slightly improved display, iPhone 8 Plus is as good as the iPhone X. And well, you should never worry about the updates. S8 and the S8 Plus might be a year older but it is still viable in 2018. You’ll manage to get them for reduced prices and it’s quite similar to the S9. It may not have variable aperture lens and upgraded camera features but its still really good. It comes with Exynos 8895 chipset and 4GB of RAM which is more than enough. And in terms of design, it’s almost similar to the S9. It’s an old flagship so you won’t be getting updates as long as the S9 but it’ll still get the Android p. For the reduced price, it might still be a better option than some of the fresh flagships of 2018. For, it was and still is one of the best flagship smartphones in Nepal. Yes! OnePlus 6 is not available and it’s definitely one of the best flagship smartphones to buy in Nepal. A cheaper one at that! OnePlus always manages to build a top-notch flagship for almost half the price of Samsung’s and Apple’s flagship. Similarly, OnePlus 6 is an affordable flagship that packs tons of power with the Snapdragon 845, 6GB of RAM, and it has the best fast charging capability, the dash charging. Obviously, its camera might not be as good as the S9 and other expensive flagships but its still good. And even with the notch, OnePlus 6 looks beautiful and has an impressive build quality. 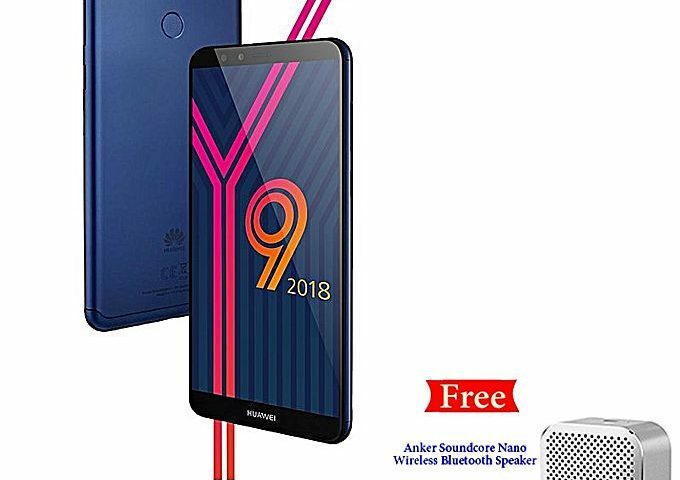 Huawei P20 128GB priced at 74,900 provides a better value than the OnePlus 6 64GB price at 71,000. You’re getting much larger storage and a better camera. OnePlus 6 has a much better camera than the OnePlus 5T but it cannot compete against the night time prowess of the P20. Also, it might be a better option to cash in on the Samsung Galaxy S8/ S8 Plus. S8/ S8 plus won’t have the 4k 60fps and 1080 240 fps but the picture quality on the S8 is very good and the Samsung’s infinity display is really crisp. That fact OnePlus supports Android P beta shows its OS upgrade potential. OnePlus rolls out updates continuously, so you’re sure to get good support for this device. Sony Xperia XZ Premium is the best Sony has to offer in Nepal. It is expensive but it is one of the best flagship smartphones in Nepal. If you’re a Sony fan then Xperia XZ Premium is the phone you’ve been waiting for. But XZ2 should be available in Nepal soon, so it makes sense not to go for the XZ Premium. XZ has a 5.46 inches IPS LCD display with a 4K resolution. Thus, you’re getting an impressive 807 PPI density, crisp and clear display. The screen is protected by Gorilla Glass 5 and comes with sony’s features like HDR10, Triluminos, and X-Reality Engine. It’s a year old device so it is powered by a Qualcomm Snapdragon 835 chipset, 4GB of RAM and 64GB of internal storage. It might not be the most interesting spec sheet but it can still perform at the top level. It had one of the best cameras last year, 19MP primary lens has an aperture of f/2.0 and it can capture 2160p videos at 30fps and Slow-mo video at 960fps (720p). Personally, I’m not into Xperia phones, for Rs. 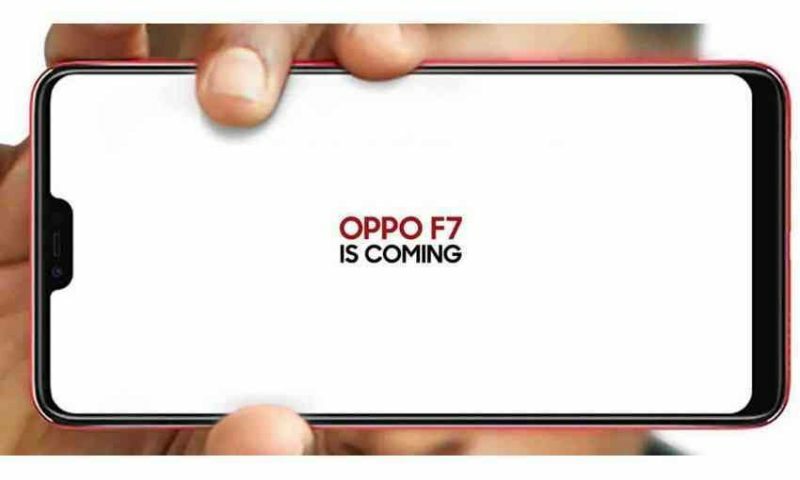 74,500 you can get a lot of better phones like the P20 and the OnePlus 6. These options are fresh release and have better specifications than the XZ Premium. So, if you are into Xperia phones and if you want to upgrade your existing Sony phone, do go for the XZ premium. This list of best flagship smartphones in Nepal consists of only the latest smartphones of each manufacturer with the exception of S8/S8 plus. The reduced price on S8/S8 Plus is worth it even though it’s an old flagship. I’m not a fan of the iPhone and it’s relatively expensive in Nepal than the Android flagships. But, iPhone X, 8, and 8 Plus are really good. So, go ahead if you want to own an iPhone, you won’t regret it. Samsung S9/ S9 Plus seems like the best option right now — in terms of its performance and feature, it’s hard to beat Samsung S9 brothers. However, the Huawei P20 and OnePlus 6 are right behind it. They offer top-notch performance, camera, and features for a far more cheaper price tag. So, these are the best flagship phones to buy in Nepal in 2018. Which one’s your favorite among the bunch? Let us know in the comments below.